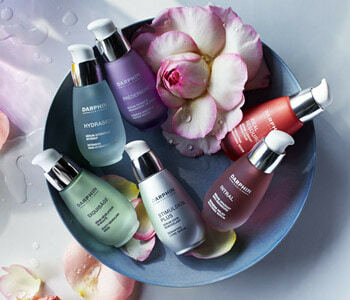 Serums are skin boosters that are highly concentrated in certain active ingredients. These ingredients can include the likes of hyaluronic acid (to reduce the appearance of lines and wrinkles), vitamin C (for radiance and reduction in the appearance of pigmentation and age spots) and glycolic acid (to exfoliate), to name just a few. Darphin's technologically-advanced serums balance these highly concentrated, powerful ingredients with sensorial textures to target your specific skincare concern.